You couldn't pass first level for some people. I removed temporary the fade between levels, it'll be back! The save system isn't working. A patch is currently pending for approval, and will be available soon. Sorry for inconvenience. But keep your saves, there are not corrupted! Don't worry, the next chapter is under development. A Facebook page for the game has been created! You'll find on it some little infos about the game I want you to know. These posts are the same on my twitter account. Oh, and you can find the game on IndieGameStand ! What about the music present in the game ? CaptainCreepy is making the next part! The Story Of Xid : Officially out ! 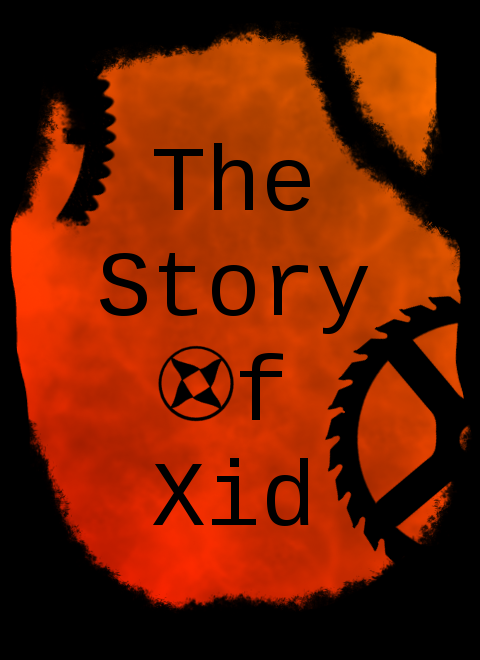 The Story Of Xid is now for sale! You can preorder it now, and get it instantly the 27th November! I fixed a lot of bug, improve some things... You can't be blocked in a wall when you travel in time for example ! Developer Update #12 : Power Ups ! I wanted to add a new gameplay element, new interesting things in the game. Power Ups are now alive ! This is the new story file. Unzip, and place the text file in data/story/. Sorry for inconvenience ! Here is the end of Chapter 2 : The Forest and 2 levels of the begining of Chapter 3 : Technologic. Thanks ! I hope you'll love the game! Version 3 done... nearly. The end of chapter 3 takes head. I don't undertsand the way of... for the red Orb up of screen. Music is always good. I understand your ideaa for a square. With a ball, not the same way to play. But... Graphics create blocks and avoid fluid actions. Five minutes after, we want to stop. No mechanisms, no searches to do... ok. I really thank you to test the game and give me your constructive criticism ! Xid won't be a square next release. When Xid is a ball, it clearly bring more fluidity to the action ! I really liked this. I played it for a bit and while the box shape seems really odd to have rolling around it seems to work. I look forward to playing more. So u r french i think no ? I have tried it. It's empty and miss cruelly gameplay. Screens after screens... and nothing to do. So... Atmospheric and good music, but it's all for the moment. U need a real good story and much than a square i think to push it far. I understand your point of view. The beginning of the game is almost without gameplay. But the chapter 3 introduces new gameplay mechanics and platformer element like moving platform or "time travel". I will consider your comment and see what I could do for the beginning, to make it more alive ! Thanks 4 your passion. I track u lol. Sure. I keep an eye on our videogame. To see mods.